Hi there, today I am sharing a framed card using Joy Clair stamps called Paisley Bouquet Clear Stamps and of course Cheery Lynn dies. 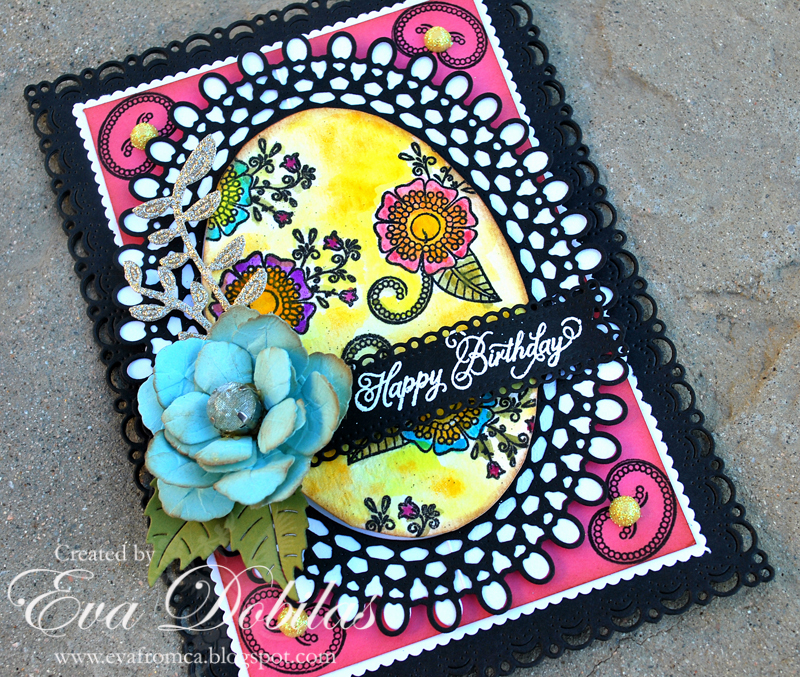 I love all of the frames Cheery Lynn Designs has and this week's challenge is all about frames. To start creating my card I die cut two Horizon Rectangle Boutique Stacker Frame out of black card stock. Than I cut a smaller panel out of a dark pink card stock which I backed up with white card stock and cut the edges off with a small scalloped scissors. I die cut a Japanese Garden Lace Oval with Angel Wing using black card stock than the Wing out of white card stock. I also cut out the middle using water color card stock and stamped my images on which I water colored in. I die cut a Horizon Fishtail Banners out of black card stock and white embossed my sentiment on it. I die cut Judy's Blooms out of light blue card stock and created my flower and die cut a Rose Leaf Strip out of green card stock and added that to my flower. Finally I die cut the flourish from the Japanese Garden Lace Oval with Angel Wing using gold glitter card stock. 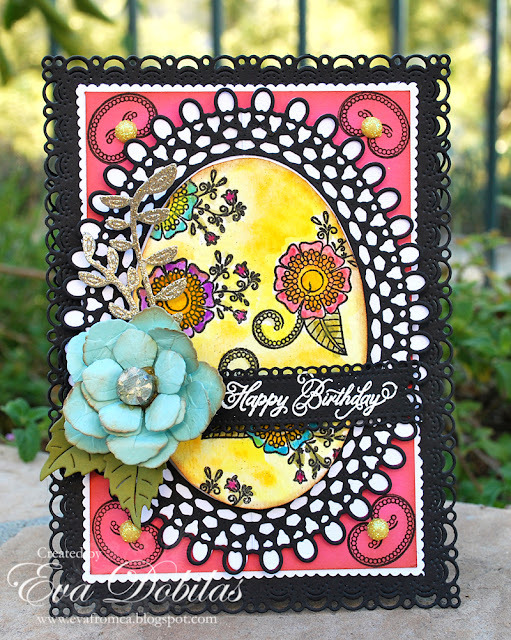 As I last touch, I stamped the corners and added some flat pearls. Thanks for stopping by today and Good Luck to everyone entering our Weekly Challenge.